A special message to the newly diagnosed: It is going to be OK. I know it’s hard to believe that but everything is truly going to be OK. Even though this page is geared towards not treating MS with medication, if you do decide to use medication, there is absolutely nothing wrong with that decision. The best advice I received was from my wise, stoic Father. Do not worry about what could happen, only think about and work on what is happening right now. There is no question that improving your diet and lifestyle is going to optimize your quality of life even if it doesn’t improve your MS symptoms (which it probably will) so get optimizing! 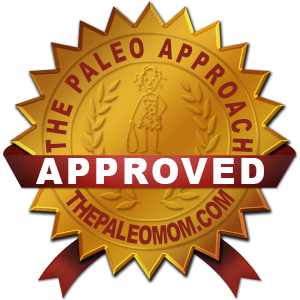 This web site is where I put all the links, books, articles and blogs I use to learn about the autoimmune protocol of the paleo diet. The autoimmune protocol of the paleo diet relieved my Multiple Sclerosis symptoms so well, I don’t feel like I have Multiple Sclerosis anymore. I read the book The Paleo Solution by Robb Wolf and the book The MS Recovery Diet by Ann Sawyer and Judi Bachrach, I took their advice and my MS symptoms went away. I can’t tell you what I eat because I do not give nutritional advice, I have zero credentials! The books recommended on this page and on this site are very clear about what to eat and what not to eat. In addition to eating well, I also sleep well, manage my stress, get sunlight on my skin, move often, engage creativity and engage joy. According to the books I have read and my own experience, these methods work for relieving all autoimmune issues, not just Multiple Sclerosis (which is only theorized to be an autoimmune issue). This website will point you in the right direction to get started on your recovery. Check out the Knowledge Center for book recommendations and links, the Recipe section for some core recipes that helped get me through my initial elimination period and my blogs for thoughts and insights into the whole thing. There’s not a lot to learn or a lot to learn depending how bio-chemist researcher you want to get. I have been on this diet and living this lifestyle for 10 years and while I can’t say anymore that I have experienced no MS progression I feel and look amazingly well. I have experienced slight MS progression, my legs get weak after walking over a mile. I think this is from taking three different antibiotic prescriptions over the course of one summer. My leg weakness only improves, as of this update (11/2018) there are days when they feel completely normal. In the past few months I have started running again. As of this update I am still medication free, I take no prescription medication to manage my MS or anything else. Not much has changed in ten years regarding how I eat and live. The most significant thing I have seen in the Multiple Sclerosis world (aside from diet and lifestyle becoming a more popular treatment option) has been the creation of The MS Gym. I highly recommend the virtual world of The MS Gym for neuroplasticity work (retraining your movement) and support. The MS Gym is the only place I have seen significant success stories aside from the diet and lifestyle world. I love my new Oura Ring and in this review I compare it to the Fitbit.